Centro Habana, Havana An almendrón stands on a dead-end street in Havana Centro. These vintage American cars function as collective taxis that go down a fixed route for a fixed low price. 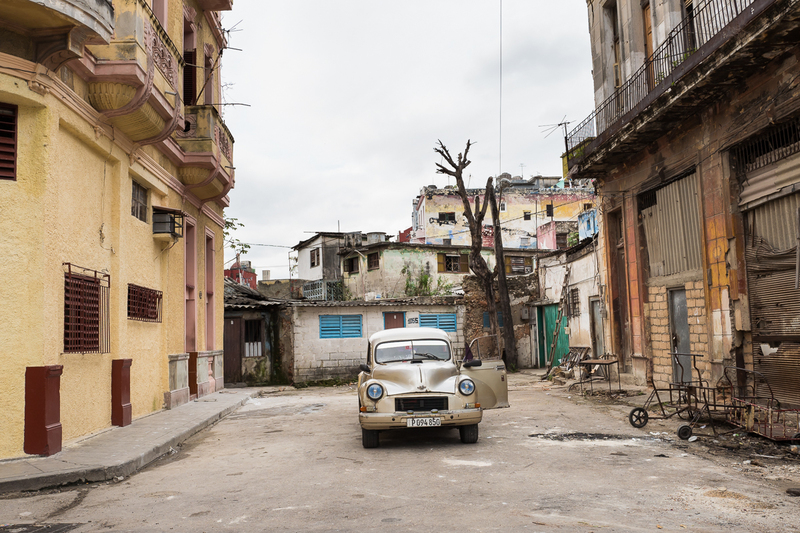 More and more of the classic cars are being restored to drive tourists around, leaving less of them as a means of cheap transportation for locals.